I think pigs are flying. Wait, maybe tofu is flying. I know what you are thinking…Ange is eating tofu? It all started a couple months ago when my friend Sarah treated me to an incredible sweet and sour tofu dish for dinner. A heavenly sweet and sour glaze coated crispy baked tofu all served over steamed vegetables and wild rice. This meal was all I could think about for days! I haven’t tried a lot of tofu because I always thought that tofu bothered my stomach (I tend to have stomach pains after eating tempeh and seitan, for example), however this tofu meal did nothing of the sort. My stomach was fine and my taste buds were smitten! Then, I made eggplant roll-ups with “ricotta” cheese and was also blown away. This week, I was struck with an idea to make a crispy breaded tofu to pair with sweet potato fries. I was inspired by a cornmeal tofu recipe in Veganomicon. 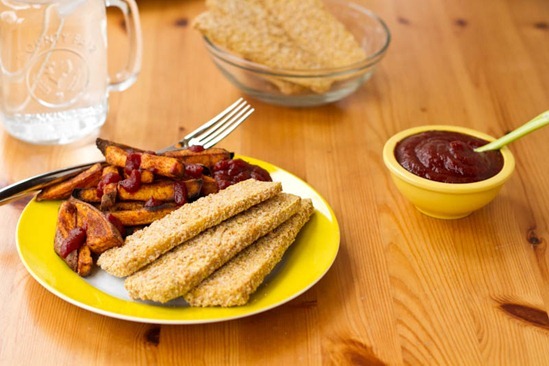 One of the meals Eric always ate in university was chicken fingers and fries so I was curious if I could make a tofu version that he’d enjoy. It was a stretch, but I figured it would be an interesting experiment! You know how I love my kitchen experiments. Well, lo and behold it worked…and we both inhaled this meal. Dipped in ketchup and served with roasted sweet potato fries, it was easily one of our favourite easy meals in a long time. I seasoned the fries and tofu with a lovely cinnamon/cumin/chili powder blend which went along nicely with sweet potato fries. I never thought I would see the day when we would both inhale tofu. These crispy strips could turn anyone into a believer…even my chicken finger loving husband. Press tofu: Rinse the tofu with water and place a couple kitchen towels on the counter. Wrap the tofu with another towel, place another towel on top, and finally several heavy cookbooks on top. Let sit for at least 20 minutes to soak out the water. Meanwhile, whisk together the milk and cornstarch in a shallow dish. In another bowl, mix together the cornmeal, breadcrumbs, salt, and spices. Set aside. Preheat oven to 400F and grease 2 baking sheets with oil. Slice the potato into fries and then coat with 1 tsp oil, 1/2 tsp cinnamon, 1/4 tsp cumin, and a couple pinches of salt. Lay out on greased baking sheet. Slice tofu into 8-9 strips, lengthwise, depending on how thick you want it. With one hand dip the tofu strip into the milk mixture and then into the cornmeal/breadcrumb mixture. Use other hand to sprinkle dry mixture all over the tofu. Coat both sides entirely and then place on baking sheet. Repeat with the rest. Bake tofu on middle rack and fries on bottom rack at 400F. Bake for 20 minutes, then flip the tofu and fries, and then bake for another 15-20 minutes until crispy. Remove tofu and broil the fries for a few minutes, watching carefully, until golden and charred in some spots. Remove and serve with ketchup! The first thing I did was rinse and press the tofu. I put down a couple kitchen towels on the counter, then wrapped the tofu in another towel, added another towel on top, and then stacked heavy cookbooks on top. I let it sit for about 20 minutes. This simply soaks out some of the water in the tofu, allowing for a crispier result. Meanwhile, I got my sweet potato on! I used 1 large sweet potato, added 1/2 tsp cinnamon, 1/4 tsp cumin, few pinches of salt, and 1 tsp oil. Mix it all together and lay out on a greased baking sheet. Set aside. Then I dipped the tofu into the milk and cornstarch mixture, followed by the cornmeal/breadcrumb mixture. Place on a greased baking sheet. Now bake the tofu and sweet potato fries simultaneously (tofu on middle rack, fries on bottom), for 20 minutes at 400F. Now flip everything and bake for another 15-20 minutes. Remove tofu and broil the fries for a few minutes, watching very closely! 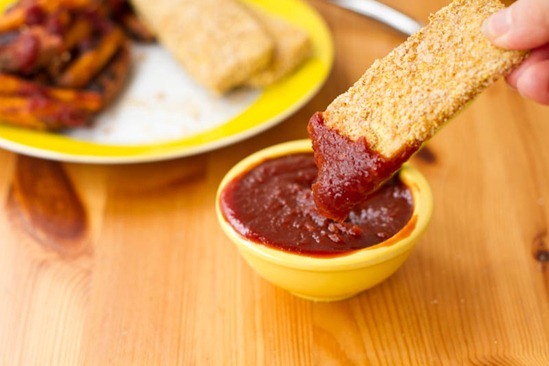 Amazing, crispy, addictive tofu strips that were made for dipping in ketchup! With the leftovers, I chopped up a couple strips and mixed it into a big salad for lunch. It was a great salad topper with a kick of protein. You could also layer these in a sandwich or wrap too. Did you really lose 200 pounds? 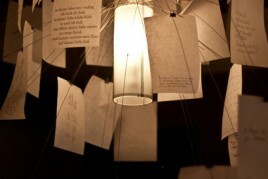 I bet it would be an amazing story to read! This was fantastic! I did not have cornstarch or the usual Unsweetened “So Delicious” Coconut Milk so I altered it a smidge and wanted to share this with you. In place of Cornstarch I used Kuzu and in place of the milk I used 1/4 cup Coconut milk (full fat) that I diluted with water. I served it with a large sauteed Kale & Garlic salad and regret not photographing it! Great recipe! Tried it with some ketchup and hot sauce and it was amazing! I am always looking for easy weeknight dinners and this recipe is definitely one I am going to try. I am been very skeptic when it comes to tofu, but I think I could handle this! heh that one is for you my dear! Looks super delicious! I am back to eating tofu after having my baby. I could not STAND the taste of tofu while pregnant! I must try this soon! Thanks! That is quite the high-tech tofu press you’ve got there! ;) LOL! (I do the same thing.) This looks fantastic, and I bet it would have a lot of tofu-phobics fooled! One of my roommates used to ONLY eat chicken fingers for dinner, and I’d love to try these on her to see what she thinks! First of all, this recipe looks amazing!! Love me some sweet potato fries! Hi Mandy Jo, Thank you so much for your comment…you are too kind! I’m honoured that my story could be an inspiration for you. I’m so happy to hear about all of the progress you are making in your life. 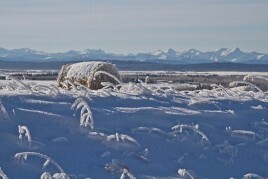 :) Wishing you a great 2012! Looks great! I love sweet potato fries. I, like you, am not a huge tofu fan unless it’s dressed up with something, so I will give this a try. I’d like to see an update on your experiences with the naturopath when you get a chance! I have tofu in the fridge now and think I will try this with my kids! I know my body has a love/hate relationship with soy too. I find it depends on my cycle weirdly enough. I have had success with sprouted tofu though, so you might want to try it out! These look great! I will be adding this to my meal plan next week. Quick and yummy meals to make after work can be hard to find. I have a couple we have every single week and I’m always looking for more! This looks great! I love when “comfort food”-type classics get a healthy make-over, and this is something I can definitely see myself trying out. I have missed chicken fingers so much, and nothing has compared. I hope these do it for me! I also love sweet potato fries. I definitely feel your love hate relationship with tofu and often opt for tempeh since it is fermented and easier on my digestion. 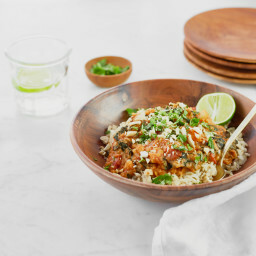 However when it’s done right it can be seriously tasty and this recipe looks just perfect! Can’t wait to give it a try! Pressing tofu is definitely the key to making is good. I love it’s versatility – you can try just about any marinade with it! Eggplant rollatini has been one of my favorite experiments this winter. Yours looks good too! 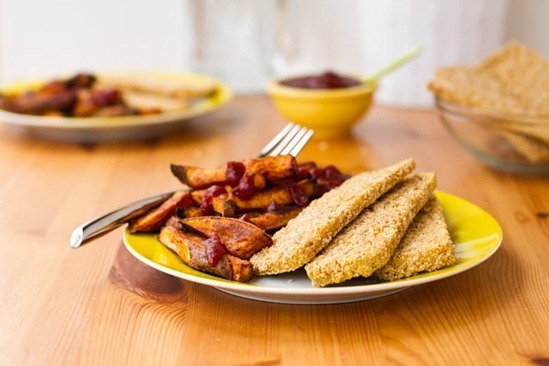 I’ve been looking for a good breaded tofu recipe – to convert my chicken finger loving dbf to tofu. (last time we then went out for a pint and he ordered chicken wings as well!) My attempts ALWAYS fail, so next time I see him I will attempt this meal on him! This is perfect timing because I’ve been craving sweet potato fries! I love the idea of cornmeal-breaded tofu. Love the sound of the fries with that spicy seasoning. I’m not a fan of tofu but I love the look of the fries! Seitan is made w/ wheat gluten and I thought I read in one of your previous posts that you saw someone who told you that you were not intolerant. So you should be fine eating seitan which is awesome because it’s delicious! And if tofu doesn’t bother you I don’t see why tempeh would! Of course I’m no expert bit I’d hate to see you miss out on some awesome foods if you don’t have to! Wow, that looks great. I have made a similar version that mimic fish sticks. The tofu was drained and then marinated in a kelp brine. Into the crumbs went some crab seasoning, and it was baked to perfection! Sweet potato fries are the best along side anything! Thanks for the great recipe. I will be sure to try this one. So creative! I will have to try that. I do this sort of thing with tofu a lot because it’s one of the few ways I actually enjoy it but I’m never diligent about pressing it long enough. I bet it would be even better if I actually had the patience for that! Hmm this looks great! Would you mind sharing your homemade ketchup recipe? Those tofu strips look soooo good! I need to make them ASAP (maybe I can finally convince my tofu hating boyfriend that it is delicious??). Haha, you read my mind. I was so confused when I read the title… I’m glad you decided to give tofu another try! One other thing you might want to try (if you are getting in the habit of eating tofu) is a tofu press. I have one and I love it! It’s so convenient and gets rid of a lot of moisture! A question for you: what type of Ketchup do you buy/make? I haven’t found a good one that doesn’t use HFCS! Yours looks thick and “real”! Funny I was looking at that same recipe in V-Con just yesterday! We love tofu around here! 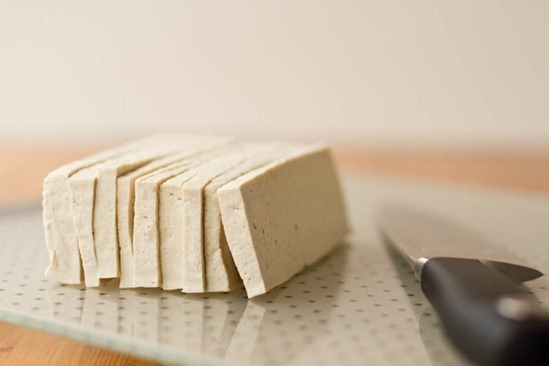 We like the texture of thawed tofu best, you should try it. I just freeze it as is (normally firm La Soyarie tofu, ONFC carries it), in its package. Once thawed, you can press it between your hands and all the water will drip right out, no need to spend 20 min pressing it. Then use it however you want. But for riccotta-ish applications, the Mori-Nu shelf stable tofu is best. I’ve heard of that before….sounds intriguing! Will have to try it. Those fries look wonderful! Perfect timing too, I bought a couple of sweet potatoes on a whim during my last grocery run and I hadn’t touched them yet. Unfortunately I won’t be trying the tofu recipe as I am allergic to soy. 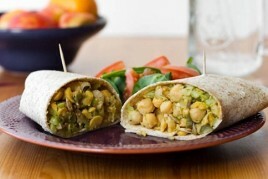 I’ll be making these tonight with your perfect veggie burger, I haven’t yet found a recipe to beat yours! Oh, thank you, thank you, thank you! I never seem to be able to make tofu crispy at home so I’ll definitely have to try this soon! I remember when If first met my fiancé and he told me he wasn’t really into tofu. On our second date I convinced him to try a piece from my favourite restaurant and he’s never turned back! LOL Tofu just takes experimentation! I also remember when I lived in Japan I was taken to a restaurant where the entire meal, from drink to entree to dessert was nothing but tofu! It was amazing! I’m looking forward to buy tofu and try this recipe, it sounds so good! Just a question: the ingredients are for two persons? Thank you! I would say it serves 2-3. Enjoy! I JUST wrote about trying tofu for the first time. I really thought I’d hate it, but I actually liked it! This looks yummy… I love chicken nuggets, so maybe this would fill the void haha. I feel like getting my boyfriend to try tofu will be pretty hard, but maybe this recipe will be the trick. Those eggplant roll ups look yummy too!!!! Whoa. Last time I attempted to make tofu “chicken” strips was from a recipe in my first vegetarian cookbook when I was seventeen. Needless to say my mom and I have been scared to attempt anything tofu in our kitchen(s) since. I really might have to try this, now. We’ve got tofu in the fridge that needs used up. And I LOVE Sweet Potato Fries! I love ketchup so anything that I can make to eat more of my favorite dip, is a bonus. Those tofu sticks look so dense, firm, and great. I hate mushy tofu and those look wonderful. As do the sweet potato fries. I like adding cinnamon to mine, too. Sometimes I add ginger or nutmeg, too…just depends on what I’m feeling like. I’m sensitive to corn so I don’t use cornstarch or cornmeal. 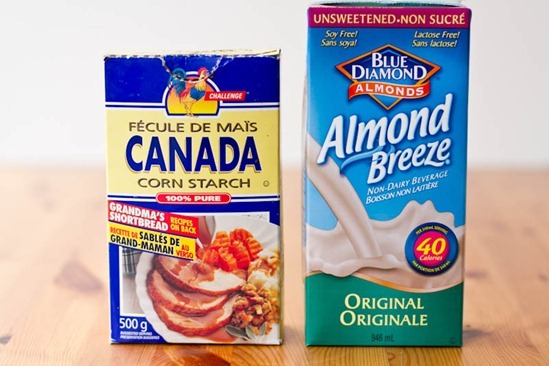 I know I can use arrowroot flour instead of the cornstarch, but what can I use instead of cornmeal? Panko crumbs would probably work well! I think my dinner plans for tonight may have just changed! Looks wonderful! It’s never good to look at your blog when I’m hungry! Everything you make is a masterpiece and all your recipes keep me coming back for more! I can’t wait to try out your Tofu strips! Aww, yeah! This sounds like the perfect dinner! If there’s one thing I can’t get enough of, it’s crispy tofu. I wonder if these would be a hit with children or not? I see bribing my niece and nephew in the near future! These look interesting! I printed out your recipe and am definitely going to try em sometime soon. I’ve commented on here a few times before, but I just wanted to tell you that your blog was one of the first I started reading. In fact, it gave me the motivation to start my own (which I literally just started this week! ), so thanks for the inspiration! P.S. Random question, but what brand of ketchup is that? It looks so thick and yummy! 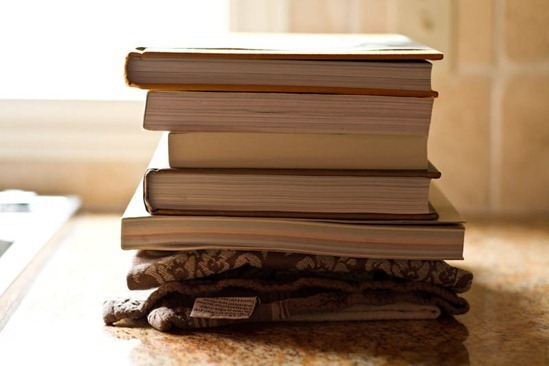 I absolutely love the picture of the tofu under all those books. Too funny. And I think there is nothing better than sweet potato fries. I eat sweet potatoes so much, I think I might turn orange soon. Now that is my kinda meal! I love the idea of breading tofu and I never think to do it. I definitely need to try that! I’ve tried making sweet potato fries a few times/ways and have never been able to get them crispy in the oven. Did yours come out crispy? I have progressed beyond soggy fries but then they were just rather dehydrated. And that seems a little self-defeating…glad to know I’m not the only one! hehe maybe for a special splurge! This looks delicious!! Such a quick and nutritious meal! SOOO happy to see some tofu love! Obviously I wouldn’t recommend eating it every day, but I do think tofu gets a worse rap than it should. As long as it’s organic, I have no problem with eating it a couple times a week. If you want your tofu to be even firmer (assuming you buy extra firm already), try freezing it. It makes it easier to press the water out, as freezing it draws the water out. Though I would still press it for 20 minutes. If I don’t freeze it, I usually press it for longer. Lastly, I’m really surprised that tempeh gave you an upset stomach. It’s even easier to digest since it is fermented, and truly the best way to eat soy. Maybe you can brave it, and try it again one day. Can’t wait for the cookbook! It will be a hit! hope you enjoy it Emily! These sound awesome! I’m a big fan of tofu in all forms (even raw!) and I’m always looking for new ways to prepare it. My go-to method is to bake it in a little bit of olive oil, braggs, maple syrup, and garlic. I think the key is pressing out as much water as possible to create that perfectly crispy, chewy texture. Can’t wait to give your recipe a try! What a fantastic idea!! Chicken strips is one thing that I miss since I stopped eating meat – I will definitely give this a try, although I’m not sure if my husband will be into it! I JUST bought sweet potatoes with the intent to make fries! Perfect timing! I was once a tofu-hater. Until I tried Averie’s mango ginger tofu. I ate the whole pan… in one sitting. It’s amazing have removing the moisture from the tofu and adding a delicious sauce or marinade will transform tofu into an incredible meal. Good luck on the cookbook! I’m making these tonight. I have everything except the sweet potato. If you are wanting a more fry like consistency on the potato you can cut in strips, set them in water for an hour and add corn starch! Crispy sweet potato fries! I learned that on pintrest. Thank you for all the recipes Angela. Everything I’ve tried so far has been great! 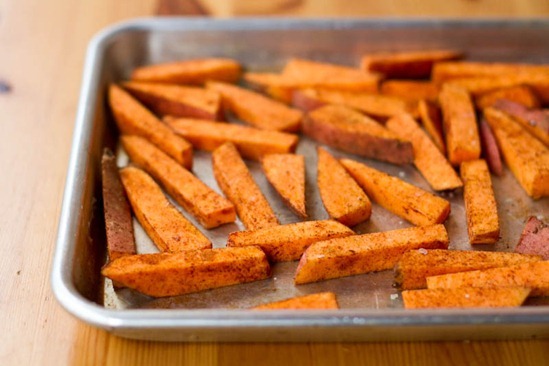 Thsoe look fab… do you know how much oil you’d use for 1 sweet potato? i LOVE sweet potato fries.. have you ever drizzled them with warmed up raspberry preserves?? SOOOO delicious!! I had avoided tofu for the same reasons, but lately I’m all about it with no stomach woes :) its so versatile I don’t know what I’d do without it and as college Nordic ski racer I need the protein!! Last night I made a big stir fry with tofu and added Bebere.. have you ever heard of it? Its an ethiopian spice mixture I found the recipe for in a Moosewood Cookbook and I am HOOKED!! It has a delicious warm spicy taste that sort of reminds me of some Indian curry dishes. I thought you might enjoy!! thanks so much for this recipe. I always order tofu similar to this when we go out because I thought it was way too hard to make at home….. I’m going to try this soon & see how it turns out! So excited that I may be able to treat myself to delish tofu anytime now!!! Tofu and I have a love hate relationship. I love eating it at resturants in already prepared dishes. I buy tofu at the store with every intention of using it in some dish, but it sits there until the expiration date and Hubby ceremonially tosses it out. The one in the fridge right now, will not hit the expiration date. I am totally making these! I feel like you do about tofu, so maybe I a would like these. Oh those look delicious, and sweet potato fries are my favorite! I’m definitely going to have to try it again, because I’ve had many tofu disasters! But there has to be a reason so many people like it. I’m excited about trying this, because no matter how I season or cook tofu it always tends to just taste like tasteless rubber at the end of the day haha. I do prefer it crispy but at most I’ve only ever been able to get the very outer skin crispy and the inside is still rubbery and unflavoured. I’ve been to a sushi restaurant where they serve inari strips on top of salads and those are AMAZING but at home I’ve had no success in recreating, so I look forward to trying this! This recipe looks really super Ange. G;ad you are warming up to tofu. I’m surprised that tempeh causes stomach distress for you. My experience is that the fermentation process of tempeh makes it very easy to digest, even for those bothered by other forms of soy. For that reason (and b/c it’s considered one of the least processed forms of soy) I usually favor it. I hope you’ll give it a shot again – I buy the slabs by Lightlife in the freezer section of WF. Marinating and baking it or sauteeing it works great! Wow.. this really does look so good. I have never cooked with tofu because I feel I would never know what to do with it… although this is a great idea and has me tempted! 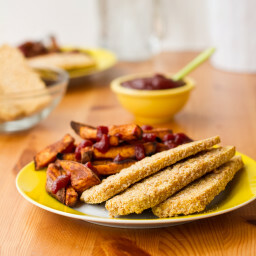 Never thought of breading tofu before- great idea! I loooove tofu!! I’m actually making some for dinner tonight. The best one I’ve made is a peanut butter crunchy baked tofu. Dallas loves it, too! I’ve never tried tofu but these pictures make me want to. YUM! Is the ketchup homemade? It looks like it! Nope it is Simply Natural Organic brand though! Thank you! I am going to try this on the weekend, I was missing a meal in our mealplan and you just filled the spot! I am going to try tofu again because tempeh has always bothered me as well but these look too good to pass up! Yum! I’ve honestly always loved tofu, even “raw”, weirdly enough. But this sounds like the ultimate recipe. Cannot wait to try it! Dippable? Sounds like we have a winner. I’ve made something similar to your Crispy Tofu Strips. They weren’t as crispy as I’d hoped but were still o.k. I’ll have to give your recipe a try. Of course, you can’t go wrong with Sweet Potato Fries. Yum! Made them today to see if I could convince myself to like tofu. Better than any tofu I’ve ever had but I’m still not a fan of the curd. Anyone have any killer gotta try these and you’ll be a tofu lover recipes? That looks scrumptious! And girl, now that you are making things with tofu, you neeeeed a TofuXpress! No more stacking books and mess. I love mine! Hi, I’m a big fan of your blog. It has really helped me get in touch with my body and conquer my issues with food. I have a few questions: have you ever had buckwheat (kasha)? I’m Russian, so I’ve had it a lot back there. When my mother cooked it, it was always “whole” and chewy. However, here in the states, our buckwheat always turns out mushy and paste like, and doesn’t keep its ‘grains’ intact. I was wondering, if you have had made it before, have you been able to keep it together so that it doesn’t become a mushy paste. Is there a difference between raw buckwheat groats and the toasted kind? (we tried both kinds, both turned out mushy). Thank you so much! My kind of meal. I do not use tofu all that much, but enough to give this recipe a whirl!! Thanks Angela. :) Love those fries too. YUM! Do you think you could use oat flour or flax flour instead of cornmeal? Those look delicious. 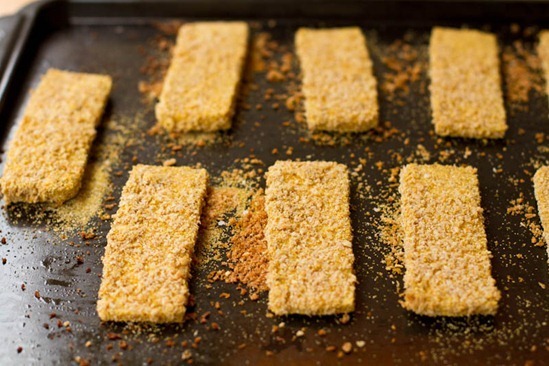 They remind me of breaded fish sticks but of course these are better for you and the planet. And those pictures of the glazed tofu & eggplant roll ups – woah. I can’t wait to see them in your cookbook! I’ve found that tofu is cooked at extremes. It either turns our absolutely amazing, or its horribly inedible. Unfortunately, I can’t eat tofu anymore (soy is one of many things that irritates my spastic bowels), but I have seen a recipe for burmese style tofu I’ve been wanting to try. Thanks for giving me the motivation to go get the ingredients and go for it. Hehe love the picture of the “light reading” pressing the tofu. At least I now know my uni textbooks are good for something else! I bought a package of tofu [never tried it!] with absolutely no idea how I was going to use it. It is extra firm silken tofu.. could I use it in this recipe? Does the “silken” part matter even though it says extra firm? I’m not sure Andrea! Maybe a tofu pro knows? i have a lot of food allergies and cannot follow all of your recipes, but usually they are so easily adaptable because you mostly stick to whole, real foods. and honestly, i love that you have been a vegan blogger that rarely uses soy . . . not only do i have a severe allergy to it, but i just dont think it is as healthy as everyone thinks it is. the wellness mama just had this post which gives a ton of good info on the darker sides of soy if you are at all interested?? anyway, im not going anywhere, i am still a loyal fan :) thank you again for everything and whatever you choose to do, i respect you girl …just promise me this wont become “Oh She Tofu’s” :) !! heh this definitely isn’t going to become a tofu based blog! I don’t see myself eating it a great deal, but it’s a fun change. As to soy, I’ve read pros and cons on both sides. From what I’ve read, the trouble with soy is a lot based on “soy protein isolates” when it’s highly processed. But yes I think moderation is key. You won’t see me eating soy more than a few times a month. Omg this looks so good!!! sweet potato fries are my fave. Classic comfort meal! Thanks for this recipe, Angela, it’s exactly what I feel like! Short time reader, first time commenter. Just wanted to mention, for all the tofu-phobes – I thought I hated tofu too until I realized I was only ever getting the soft junk. Find the firmest you can, and things finally get good. Our Trader Joe’s sells “Super Firm”, it’s the only kind I can work with. Usually I sauté it with almond butter, soy sauce, garlic & veg broth & serve with wok’d veggies & quinoa. Otherwise I have to have, nay, *need* to know the recipe for the tofu triangles in the top photos. Looking forward to seeing it! I wish we had Trader Joe’s here! 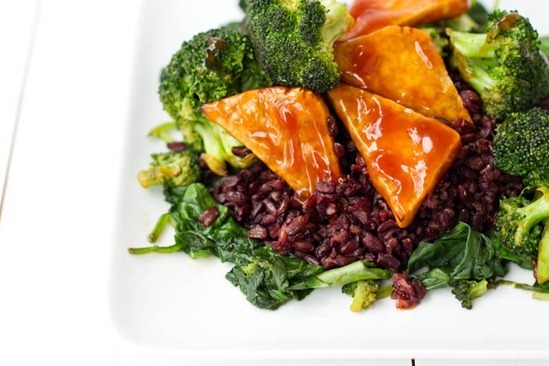 Even though I generally dislike tofu, this recipe looks mighty tempting! Maybe it’s the sweet potato fries… but I’ll definitely try this! Sweet potato fries are my go to side! 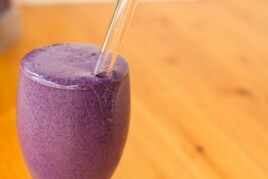 So easy, delicious and healthy! I always put tofu/cauliflower ricotta in my lasagna. I think it tastes better than using regular old ricotta. And it’s healthier! Oo yum this sounds delicious! I love tofu. Hmmm, I don’t know about tofu, but if your going to try it, I guess I will, you haven’t posted a dish I haven’t liked! These look really great! I like to bread my tofu with nutritional yeast but I haven’t tried baking it. Will do so now! Thanks for another lovely recipe. May I please come visit you in Canada and you prepare this dish for me yin your beautiful home!!!!!! wow Angela! this looks yummy! I am a tofu addict and I will be making this asap! The tofu looks amazing! I just got Veganomicon and need to set aside time to read it- I’m sure it’s full of amazing recipes. Anything I’ve ever made of hers has been a winner! Thanks for this fast and easy tofu recipe…and, for all your recipes! I whipped this up for dinner last night and it was a hit with me and the Mr. As an alternative to ketchup, we used apple butter for dipping. Wellesley(a local company) makes an amazing apple butter with no sugar and it’s available at Loblaws for under $5! We both loved the crunch to these tasty morsels, but I think next time I would make them in either stick or nugget form-to up the crunch factor! BTW- I have to let you know that since discovering your amazing kale salad and dressing recipes, I’ve been making kale salads on a weekly basis. Thanks for re-inspiring me to get my kale on!! Glad to hear that Dana! I’m all for trying new things and stepping out of my comfort zone, but I don’t eat tofu because of my thyroid issues. The fact that you don’t use a lot of soy in your cooking is what keeps me coming back! Other sites rely on it too heavily and it makes it difficult. I hope you’re not totally on the bandwagon and you still keep the soy to a minimum or at the very least provide easy non-soy options/subsitutions. I’m sure this was yummy though. You need to get a Tofu Xpress! It really changed my whole view on tofu. JUST BOOKMARKED THIS! Baking tofu is my FAVORITE way of eating it!!! SO GOOD! I don’t know what my deal is that I’ve never actually made fries out of sweet potatoes! I need to get on that. I’m making this recipe this weekend! Thanks! BTW – You were mentioned on Greatist.com as one of the 60 Must-read Health & Fitness blogs! WOO HOO!! I hope the publishers you talk to see this great press you receive and how many of us adore you and love making your recipes. Those look amazing! Just wondering, what brand of tofu do you use? My husband and I just started a 21 day vegan diet. I’ve been trying lots of different tofu recipes- but this looks so good! I love the idea of adding a crust and baking it. yum! I love tofu! I’m so glad you enjoy it too! Tofu easily adapts to lots of different tastes and textures. I like to use the softer kinds of tofu as an egg substitute (for quiche, scrambled egg substitute, etc). Tofu dessert is really yummy too! It’s almost like a light pudding depending on what you do with it! Sweet potato anything is like a little party in my mouth. I made this for lunch today. I like tofu but I found that the flavours weren’t very strong, so next time around I think I would put more spices in. The Sweet Potato Fries were awesome though! 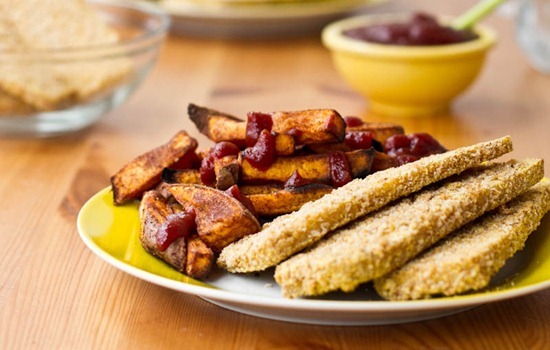 Oh my gosh those crispy tofu strips look delicious! I would have never thought to bread tofu like that, what a great idea! I’ve recently discovered that I love sweet potatoes (I used to hate them) so I am very intrigued by the sweet potato fries. Thanks for posting these great recipes! Hopefully I can try them soon! This looks amazing! Your ingredient list speaks directly to my soul. :) Thank you so much for sharing your journey into the realms of tofu-love. Bookmarked. I have the ingredients on hand so I’m going to make this for lunch tomorrow. I know my three year old will love them. Thanks! This looks SO good – and kid friendly! My guys love tofu cut in little pieces and stir fried in a little olive oil til very crisp – bet they will like this so now I will have 2 ways they’ll eat it – YEAH! Thank you – thank you- thank you! PS- I LOVE sweet potatoes and my kids love the SP fries! Whoo – hoo! These tofu tenders look very similar to the ones I make with the exception of I using a dark beer instead of milk to get a “pub feel” and the spices are a tad different too. Actually as far as the spices go I can never remember exactly what I put in, its usually always different, I just start dumping;) I’ll have to try with milk sometime. Cheers! Tried this last night! Just as good as it looks – and easy too! I think you have supplied the recipes for most of my meals for the past several months…thank you thank you thank you :) It’s such a treat to pull up your site everyday – abolustely can’t wait for the cookbook! Thank you Emily, you are too kind! I enjoyed the crunch and texture but the seasonings didn’t cut it for me. I found the cinnamon to be an odd addition. I’ll still use the method but use another combination of spices. I made these last night! THEY WERE FABULOUS! :D thank you SO MUCH for the recipe, no more processed, soy fake-chicken-fingers for me! And I have leftovers for lunch today, so happy! I just made these Tofu Strips for my wife, and we loved them! Looking forward to making them again already and maybe adding some jerk seasoning to the breading this time. I think I’m gunna try these sometime this week. I’ve been searching for a new tofu recipe to try, and these look great! Okay I have made the perfect veggie burger and husband L-O-V-E-D them!! No more store bought veggie burgers for us. Tonight I’ve made the tofu and it smells and looks awesome! I am going to try and make every recipe posted on this site. I am also VERY hopeful there will be a cookbook or there is a cookbook. I will buy it for myself and I will become a full blown vegetarian. My sister has been for years and I’ve played around, but these recipes make me think I could do it. Thank you Angela!!! These were amazing! My normally picky 4 year old even devoured them. As a side note-they were really yummy for lunch the next day in a whole wheat wrap with spinach, broccoli slaw, red pepper strips and some sirracha! Yum! Love ALL of your recipes! YUMMMMMM!! Ate them last week and again last night for dinner!! My hubby and I loved them!! thank you! We also sub’d panko crumbs and unsweetened coconut milk.. It was delish! I made this for supper last night. Baking the tofu with a cornmeal crust certainly made it nice and crispy – although at the end of the day it still tasted like rather bland tofu so not sure I’d make it again, but it was fun to try – and my kids each ate one piece so I guess that is success. The sweet potatoe fries turned out perfect so would definately make them again! We aren’t fans of ketchup so i served the fries with a dip made from yogurt, mango chutney and curry paste and the tofu with a half half mixture of chipolte BBQ sauce and hot mustard. 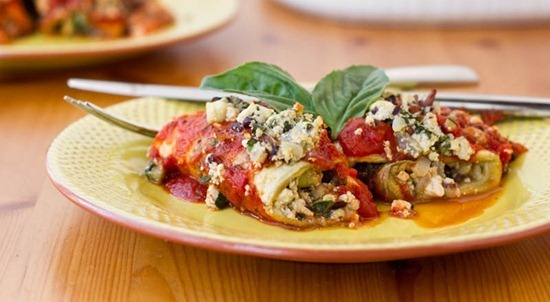 Those eggplant roll ups look amazing! Did you happen to post a recipe for them yet? I wasn’t sure if I missed it. I’m sad. This didn’t work for me. The tofu kept falling apart and was just…wrong. :-( Don’t know what I did wrong. Hey Becky, Did you use extra firm tofu and drain it beforehand? I use these in a spelt wrap with some hot sauce, vegan ranch, and salad mix. Yum! I just made these sweet potato fries and they were so amazing, I had to tell you! I’ve been trying your recipes and am really enjoying the progress I’ve made as a cook and the food itself! Keep doing what you’re doing!!!! Please! I just made the crispy breaded tofu for lunch for my husband and me……I made do with a couple of minor variations, e.g. unsweetened vanilla almond milk, and Penzey’s Arizona Dreamin’ for chili powder. I had to make bread crumbs, and also cornmeal from yellow popcorn in my VitaMix. It was perfect!!!!! This is a fabulous recipe!!!!! Not one piece left…..this opens a whole new world for us for tofu, and satisfies that “need” for crispy “meat” to dip in ketchup. Next time I will use the sprouted organic tofu I just bought–even higher protein, and the package is 8 ounces bigger. This recipe made more than enough crumbs and dipping “milk” to handle the larger package. THANK YOU! I am passing this link on to my friends! The Tofu Sticks were really good. They were firm and crispy. Thank you for sharing. In fact, I’ve linked to this on my “10 Delicious Tofu Recipes”. Thanks for the link Marie :) So glad you enjoyed them! Sorry this is so long but there is so much I’d like to say! I don’t even know if you check old recipes for comments anymore, even. I just wanted to say, your blog was the #1 procrastination technique I used during finals this school year. I’ve been experimenting with being vegan and everything on your website looks SO good. Well, now that school has ended, I’ve been cooking a recipe of yours pretty much every other day! (date bars, apple muffin tops, these, and more). Today my best friend and I made the tofu and the fries and we were blown away. The spices were so addicting and the tofu was so crispy and every ingredient was readily available… it was perfect! I even tried it with ketchup and generally I am repulsed by ketchup, but this time I enjoyed it. Next year, I am going to make a huge batch of this every month and freeze them for my school lunches! I just want to say that your recipes are AMAZING and your devotion to wellness has inspired me to take better care of myself. I went through some diet issues this year but your blog has shown me that it is possible to enjoy food as a fun activity and a rewarding, healthy meal instead of just a set of numbers and nutrition facts to be burned off later. OKAY, that’s all for now ^_^ Thanks for this blog! Yes I read my comments on old posts! Thank you so much for your kind words. I’m so happy to hear that you are enjying everything. Take care! Yum, yum, yum! I cut the tofu in thirds and make nuggets- my kids love them and we fought over the last one last night, so I had to make more tonight! 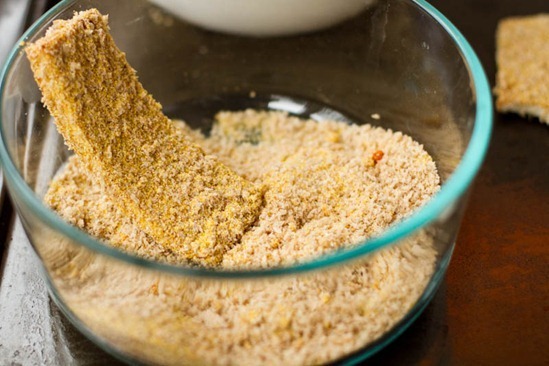 I also add some nutritional yeast to the breadcrumb mix which seems to give it a little extra something. Thank you for your beautiful blog and delicious recipes! This is the first tofu meal I’ve actually liked. I’m inspired to try more! This recipe was my FIRST success in getting my two-year-old to eat tofu. lol. Sooooo tasty. The husband and I just finished this and it is our new FAVORITE. Before going vegan, chicken fingers and fries were my weakness. This was an excellent substitute! So quick and so easy! We couldn’t believe how crunchy they were on the outside and chewy on the inside. Thanks!!! Hi Angela, this looks amazing. Couple of days I grilled tofu, you have to try this ……you can just imagine how good it tasted when my children almost left me without lunch he he. I slice tofu as you did and i prepare marinade on the side. Marinade goes like this, 4 tbsp of soy sauce , 2 tbsp of ketchup manis ( it is the name Indonesian use for sweet soy sauce and we Aussies learn from them), 1 clove of garlic grated , 1 small piece of ginger grated. I stir that and I left tofu in it for 10 min and I grill that on girdle pan. It was so yummy you have to try it and let me know do you like it. I tried this recipe. Now I like tofu. Amazing! I accidently combined all the spices for the breading and then put that on the sweet potato too. It didn’t matter… it was wonderful! yay! so glad to hear that :) I used to hate tofu and now I go crazy for it. I tried this recipe today and I liked it a lot! I did not have corn meal so I used oatmeal that I passed in the blender first. My tofu was firm, not extra firm but I turned out ok! My meat eating hubby liked it! Can’t wait to make this again with the right ingredients! The fries were delicious! I gave the left overs to my grat Dane… He LOVES sweet potatoes! I have been a long time fan of your recipes (I look at many vegan blogs and NO ONE compares to yours). I just recently tried this recipe (one of many that i’ve tried from you) and finally decided to tell you how good it was. My boyfriend has become a healthy vegan 6 days a week since we moved in together 6 months ago. He has lost 35 lbs so far. This has become one of his favorite recipes. They taste like Van De Kamps Fish Sticks! We just made them last night and it brought us back to our childhoods. Keep these wonderful recipes going! P.S. Our other regular recipe that we often love to make are the Tripple Almond Cherry Bars (I think that’s what they are called). Tried this. Devoured it. Next time I’ll make it more spicy by adding a bit more cayenne pepper. thing. I used panko bread crumbs and white corn meal. My husband loved this too! The cinnamon was really good on the sweet potatoes. I love that whenever I need a new recipe, I can always find something new on your blog! Can’t wait to make these tonight!! Angela you are a genius with tofu! :) Not only did I love this recipe but my hubby and kids loved it too. My son says to me, “mom, are you sure this is not chicken?”, “these are really really good”. I know have another quick meal for our crazy weeknight dinners. Thank you, thank you, thank you. Make sure that it wasn’t something else in the seitan or tempeh that hurt your stomach besides the soy! Personally, I’m allergic to millet. I didn’t think twice when I picked up a package of tempeh at the store, until later that night I was in agony from stomach pains. Later, I looked at the package more closely and found the culprit- millet! I know this is an older recipe but I just ran across it and HAD to try it out. I try to avoid processed corn so I wanted to share my method in case anyone wants to try this while keeping (possible) GMO corn out of their dinner. I used NO cornmeal or cornstarch. I used a flax “egg” wash instead of the cornstarch almond milk (1.5 TBSP ground flax + 1/3 cup non-dairy milk, let sit for 10 min until “egg” like consistency). I simply increased the (spelt) breadcrumbs to replace the cornmeal and added the spices. I used cayenne, smoked paprika, nooch, dehydrated poultry seasoning/ spice (VEGAN) and gave it a whirl in the dry vitamix container as my breadcrumbs were very coarse. It turned out amazing, the coating stuck REALLY well and crisped up perfectly! Thank you for the inspiration. I tried your basic technique for baked tofu here, and it was a huge hit in my house, even with my mil who had never tried tofu and was hesitant! It turned out so crispy and yummy. I added some different spices and marinated mine for a bit before baking and served it with stir fried veggies. Thanks! 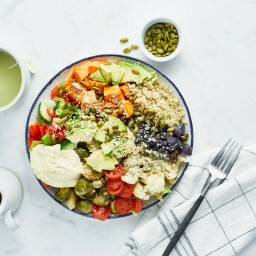 I am not vegetarian, however I am trying to eat more meatless meals,and your blog and cookbook are making it very easy. So easy in fact that I rarely ever eat meat anymore. Thank you for that. I feel much better for it. Now it just eat fish and the odd piece of chichen. I was wondering if this recipe can be frozen after cooking and then reheated. It sure would make life simple if it could be. I like to make many meals on a Sunday afternoon to freeze for the week. That way I don’t have to worry about what to make for dinner each night, which makes eating healthy much easier. Thanks again for making changing the way I eat so easy. I just made these and wow are they amazing. They taste better than chicken, I made them really thin with home made oat flour with a few spices and ketchup. Even my hubby liked them, which means they are real good. Thanks so much for sharing! We made this tonight and loved it! My 6 year old wolfed it down! We made a side of fried carrots with herbamare and olive oil along with the sweet potatoe fries. Yum! My hubby and I make these and we wrap them in ice berg lettuce and have a Greek yoghurt, garlic and chive dipping sauce. It’s our easy weeknight meal too! great recipe – thank you. i tweaked it a bit – 1/4 c. milk (almond, soy…) and 1/4 c. soy sauce.with the 1tbsp cornstarch for the wet. this made the tofu itself flavourful without needing to marinate it. I had no idea you could bread Tofu! Great idea! BTW, I love your blog. Great info. Eating this as I write. Delicious! Definitely recommend this recipe. What do you use for breadcrumbs (in all of your recipes)? I just got turned on to your food (and bought your cook book immediately and went to the store to prep to make the perfect veggie burger, but got stumped on this ingredient. My main attraction to “plant-based” is the not-processed, ‘real’ food aspect and all the commercially available breadcrumbs had about 1,000 ingredients including high fructose corn syrup. I went to the health food aisle and they had gluten free ones but all of those had eggs in them! Hey Kristin, I can relate to your concerns with finding a solid breadcrumb (I searched a lot too), My go-to is a spelt breadcrumb. I use the Sasha Co brand…really impressive ingredient list! !